Super-powered sequel to the hit game Injustice: Gods Among Us, Injustice 2 is now available to buy! This game allows players to build and power up the ultimate version of their favourite DC characters! As you play the game you earn, players can personalise a huge selection of iconic DC characters in crazy gear. Gamers, for the first time, can also not only manipulate the way their characters look but also how they fight. To hear the guys chatting about this please click here! Injustice 2 is available to purchase on PS4 and Xbox One. 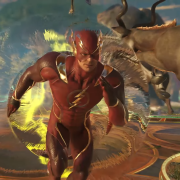 The Flash in Injustice 2! The Flash in Injustice 2. Just WOW. 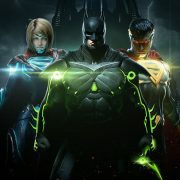 To Pre-Order Injustice 2 please click here! 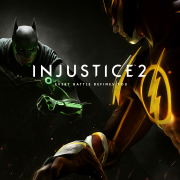 http://wp.freedomofcreation.co.uk/howtokillanhour/wp-content/uploads/sites/65/2017/04/injustice-2-the-flash-2.png 1080 1920 billywright http://wp.freedomofcreation.co.uk/howtokillanhour/wp-content/uploads/sites/65/2017/09/htkah-web-logo-2017.png billywright2017-04-20 00:00:182017-09-06 18:19:20The Flash in Injustice 2!